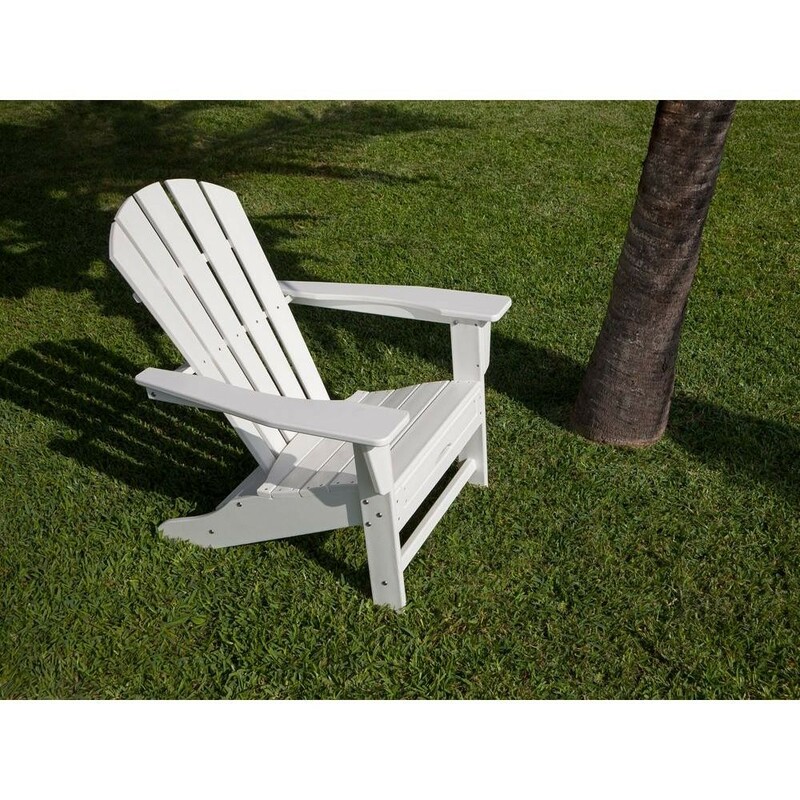 POLYWOOD South Beach Adirondack chair set with hideaway ottomans and table. 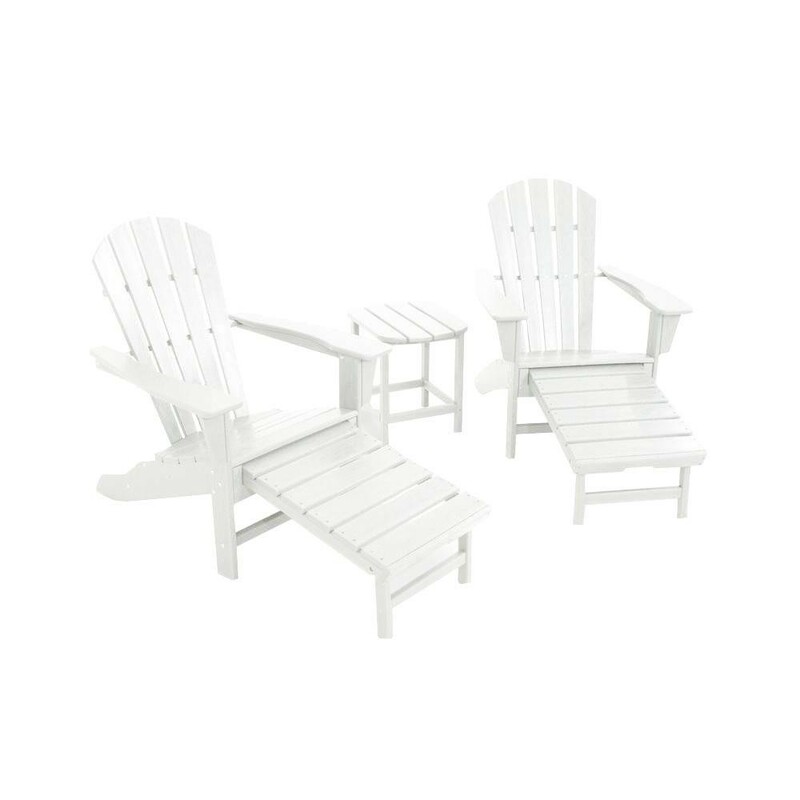 Bring home a touch of South Beach relaxation with the help of this POLYWOOD South Beach Ultimate Adirondack 3-Piece Set. 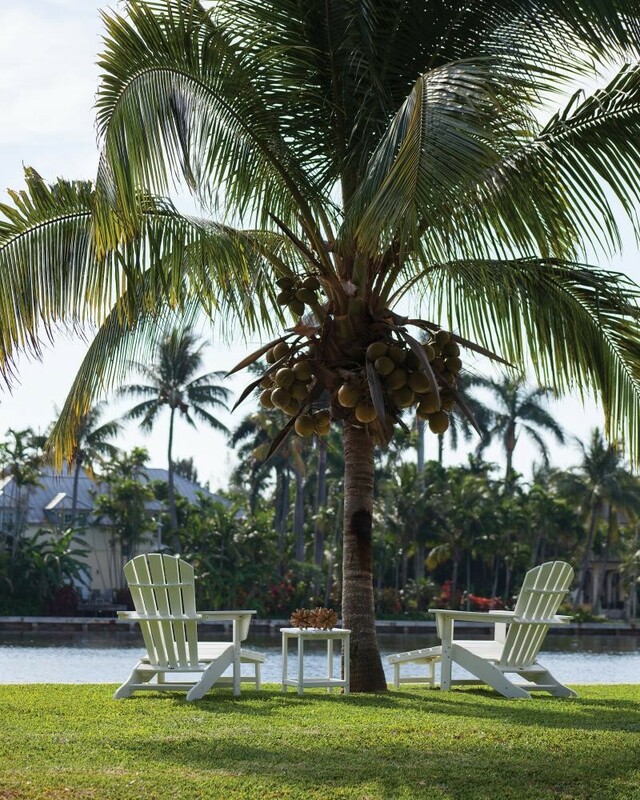 The set includes two Adirondack chairs with hideaway ottomans as well as a matching South Beach table. The slightly reclined back and raised footrest offer you a great place to sink down and relax at the end of a long, hard day. 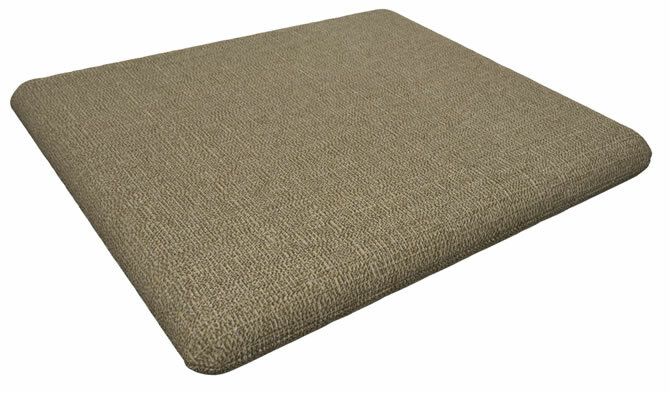 If you don't want to deal with the ottoman you can just slide it inside of the chair, because it has a unique hide-away construction that makes this Adirondack completely versatile. 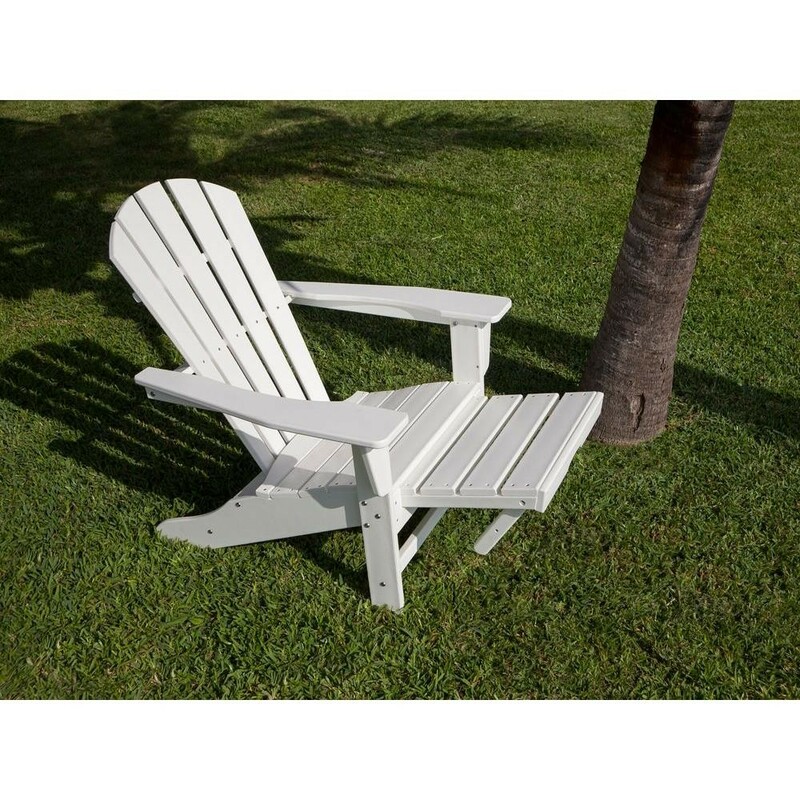 This chair is also one of the most eco-friendly Adirondack chairs you can possibly own because it's made out of POLYWOOD, a proprietary blend of recycled HDPE plastic. Of course, "going green" isn't the only advantage you'll enjoy. POLYWOOD looks like real painted wood, but it won't fade, chip, crack, warp, rot, or peel. You'll never need to sand it, stain it, or paint it, which means you can say goodbye to all of the headaches that come with owning traditional outdoor furniture. It's all held together by commercial grade stainless steel hardware which comes right in the box and which resists corrosion like a dream. The only thing you'll ever have to do to maintain this chair is to go at it with a bit of soap and water. Order yours today.